Fire Damage under entire subject property. The homeowners had the entire crawl space painted white with odor killing paint. Saving my client a $320,000 mistake. RECENT ISSUES FOUND AT INSPECTIONS!! Moisture damage at rear sill and drop sill. Saving my client over $7,000 in repairs. I kenyaita Gileens, am a first time home buyer, I hired Ryan to come to inspect a new home that I fell in love with. Ryan took his time to inspect every crack and corner of the home and lot. Ryan took this inspection as his own home being purchased, VERY PRECISE AND HONEST. THE COMPANY IS GREAT WITH A GREAT INSPECTOR. THANK YOU RYAN!!!!!! We were nervous about the entire inspection process. We had no idea what to expect or how to handle any problems we may encounter. Ryan's professionalism and honesty was evident from the minute he walked in the door. We walked away from our home buying experiences feel confident that we had made the best decision and investment we could have make. I would and do recommend Ryan and PHT inspections to everyone I know. Thank you for the amazing service! -Katy and Chris"
Just a short note praising Ryan Raley for the professionalism he exhibited at the lake property we are in the process of purchasing. Ryan not only went about the process of inspecting but he took the extra time to share with me what he was documenting so I had the opportunity to ask questions about each item of the inspection process. He was very knowledgeable and thorough and I enjoyed the process. 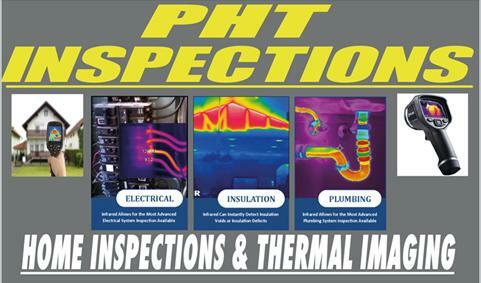 I will recommend PHT inspections to my colleagues and friends! My husband and I were VERY impressed with the inspection that was done by Ryan Raley. He was very thorough and walked through every room with us after he inspected everything to show us things that needed attention. We were bragging on him to our Real Estate Agent today! We would both highly recommend Ryan to anyone looking to buy a home. Just wanted to post a brief note thanking Ryan at PHT Inspections for his outstanding service. My husband and I requested an inspection which was completed within a week. 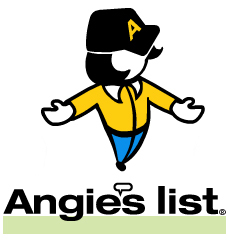 We were present during the inspection, and Ryan was so helpful in answering our questions and concerns about the home we were thinking of buying. Because of his inspection, we were able to make wise decisions and eventually backed away from proceeding with offers on this particular home. 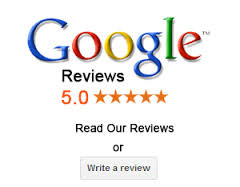 His inspection saved us, and the price we paid was certainly well worth the results we received. Ryan at PHT Inspections has done several home inspections for me. He kept us out of a very bad investment on one of them. Always professional, thorough and easy to work with. 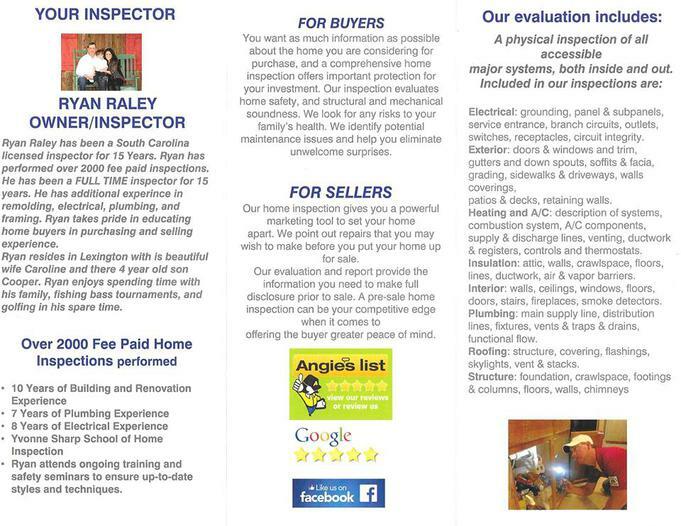 I highly recommend him to do your home inspection if you are considering buying one. My husband Fred and I want to thank you and Will for your wonderful customer service to us during your inspection of our future home. You both spent a lot of time doing a very thorough and detailed job, taking pictures and making notes of issues that needed to be brought to our attention. We received your full report by email the next day, but you took the time to explain item by item all the things that we should know, and were patient with all of our questions. It was great to talk about our dogs and hear about your little boy and his motorcycle prowess. All in all, just a great experience. 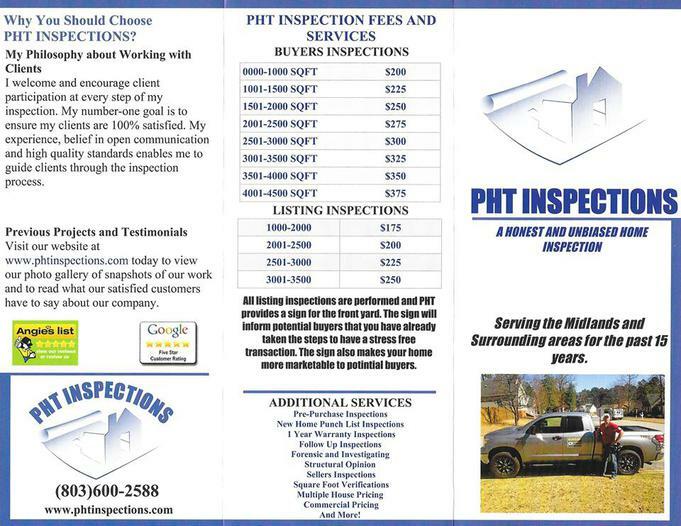 I would recommend you and PHT Inspections to anyone needing a home inspection done the right way! Please do not hesitate to use my name if it would be helpful. I was pulled to write you a testimonial after meeting you during our house inspection that you did last week. Ryan and an assistant arrived at my new house-to-be promptly at 10:00, which was great, because we were meeting other inspectors that same day. I followed them around for a good bit of the inspection, and they pointed out things for me to know. I should mention that they both wore shoe covers the entire time they were inside. That's a really helpful, thoughtful touch. His inspection was incredibly thorough. He uses infrared and other technologies to check on spaces that are otherwise impossible to see - for insulation, for example. It was all quite impressive. His report was sent to us the next day, and was very detailed, with many photos of things he suggested be updated or repaired. This took place in an immaculate house that had kept up great maintenance, but even with that background he found a good bit that could be done to improve it. Thanks a million and I wish you good luck in the future - although I don't think you'll be needing it. All I can say is WOW! Ryan is awesome and very impressive. He is unbiased, respectful and KNOWLEDGABLE, As a first time home buyer I was so skeptical about being taken advantage of during this process but Ryan made it easy for me to trust him by having the tools to back-up what he was saying and answering any questions that I may have had. He is very critical of the home even the sellers were impressed with him saying they wanted his information. Now that's what I call service! Thanks Ryan! Ryan Raley came to our rescue when we were trying to buy a house that looked great cosmetically, and seemed to “have our names written on it.” The interior had been updated with beautiful floors, modern kitchen, appealing light fixtures and custom designed closets. We loved this house and wanted to make it our home. However, by using premiere thermal imaging technology, Ryan was able to identify several “fires” that we definitely needed to avoid. Additionally, he identified some severe structural issues that would have made the purchase of this home a disaster. So, we walked away from this house. After a continuous search in the real estate market in our desired area, we found another “dream house.” We called Ryan to perform the home inspection and he gave us a good report. Based on his findings in the previous house, we knew we could trust Ryan to give us a thorough inspection with unbiased recommendations. We highly recommend Ryan’s services and endorse his knowledge, experience, professionalism and genuine interest in helping home buyers make wise purchasing decisions. Thank you, Ryan, for giving us the confidence we needed to purchase a house that will become our home for many years.